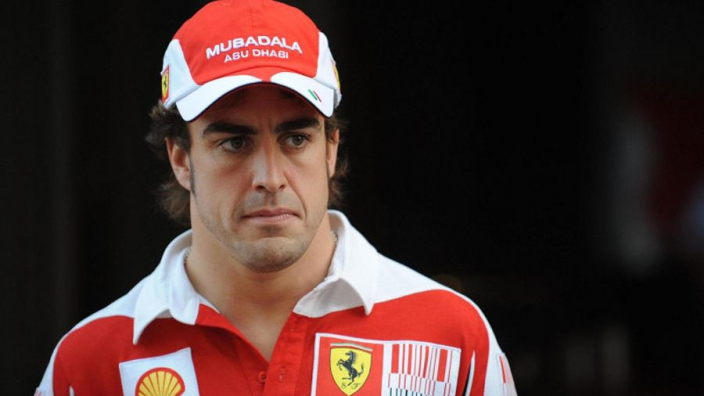 News of Fernando Alonso's impending exit from Formula 1 has cast glances backwards as much as to the future. Alonso will leave F1 as a two-time world champion, but with the knowledge that it could have been so much more. Three times in his career, Alonso finished second in the world drivers' championship, and he also came up single digits short of the champion on as many occasions. Arguably his most agonising defeat came at the end of the 2010 season, when he needed just a top-four finish at the season-ending Abu Dhabi Grand Prix to secure a third championship. Alonso qualified third in the Ferrari, a good start, but dropped to fourth off the line as Jenson Button sneaked through. Sebastian Vettel, Lewis Hamilton and Mark Webber also entered the race with a chance of winning the title, but things remained in Alonso's hands until his team reacted to an early pit-stop by Webber, calling Alonso in after just 15 laps. It would prove to be Alonso's undoing as he spent the remainder of the race unable to overtake the Renault of Vitaly Petrov and he ultimately finished seventh, with Vettel winning the race and first of four consecutive world drivers' titles. As Red Bull hit their stride, Alonso challenged in 2012 and finished just three points behind Vettel, but the title was not quite in his hands as it had been two years prior.